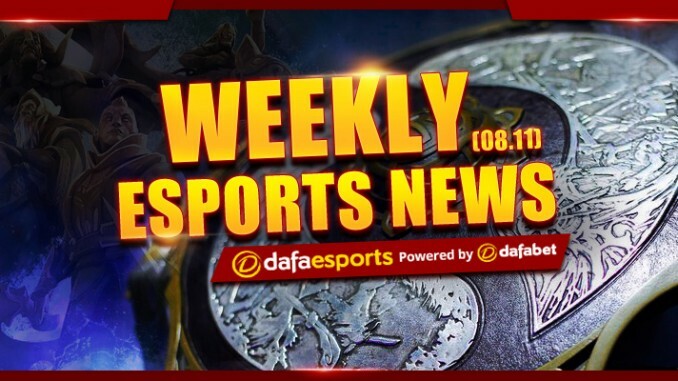 Welcome to the Weekly Recap, where we gather the top stories that happened in the past week to help you catch up with the busy world of eSports! Liquid scrapes past Virtus.Pro 2-1 in a tightly fought lower bracket match to secure at least a Top 4 finish in the International 2017. Liquid needed 103 minutes to break down VP in Game 1 but their frantic split-push in Game 3 gave them huge advantage in objectives and allowed them to win the decider in just 46 minutes. The 2017 EPICENTER champion is now waiting for the winner of the other lower bracket quarter-final match between two Chinese giants – Invictus Gaming and LGD Gaming. With fourth place secured, Liquid is sure to pocket at least $1.6million in prize money. Game 1 has a great chance to be the game of the tournament, as it saw VP gallantly defend its high-ground for more than 50 minutes behind No[o]ne’s Bloodseeker, who chose a -7s Bloodrite cooldown reduction talent and spammed the skill to defend their lanes. Even with boars from Mind Control’s Beastmaster, wolves from Matumbaman’s Lycan and the Illuminate with GH’s KOTL, Liquid had a hard time bringing down VP’s top lane ranged barracks, but eventually won when VP wandered too far ahead and allowed Mind Control to ravage their top lane unattended. In totally unexpected situation, three-time world champion SKT T1 will open the LCK Summer Playoff in the first round of the ladder against Afreeca Freecs. The telecom giant had difficulty getting into great form this split and finished fourth place with a 13-5 record, though they were three series ahead of AFS, who ended the split with a 10-8 standing. SKT and AFS split their two meetings in the regular season, with SKT winning the first one 2-1 and AFS sweeping the Spring champion in their last series. The winner of this match will face third-seed SSG in the second round, while KT Rolster is waiting in the third and the rejuvenated Longzhu Gaming is looking to see who it will need to beat to secure a spot in this year’s Worlds. H2K and Unicorns of Love resume their race to the top of Group B in Day 2 of Week 10 in the EU LCS Summer Split. H2K (8-2) will play Mysterious Monkeys (2-10), while UoL (8-2) will play Vitality. H2K swept MM in their first meeting of the season, sweeping the promoted team in Day 3 of Week 1. UoL also swept Vitality 2-0 when they met in Day 2 of Week 1. 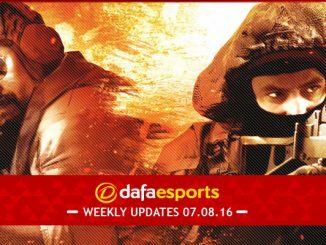 In Dafa Sports, H2K is heavily favoured against MM at 1.09, while an upset from the Monkeys is backed at 6.94. UoL is also tagged as the better side against Vitality, as a win for the Unicorns pays 1.20, while an unexpected upset is priced at 4.35. Former Gambit Esports player Danil “Zeus” Teslenko has returned to former team Natus Vincere and will serve as its captain and in-game leader. Zeus helped Gambit Esports win the first PGL Major in Krakow last month but left the team because the organization sacked his long-time friend and coach Mykhailo “kane” Blagin, who will now work as Na’Vi’s coach. 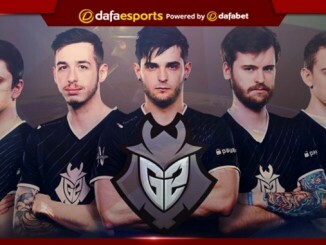 “The guys decided to kick our coach Kane, even with the condition that I will leave with him,” said Zeus of his exit from Gambit. FaZe Clan infused itself with some needed experience after it signed veteran AWPer Ladislav “GuardiaN” Kovacs for an undisclosed amount. GuardiaN parted ways with Natus Vincere last week to join FaZe Clan and is expected to bring his aggressiveness with the AWP that endeared him to the fans of the yellow-and-gold for the last four years. “We’re thrilled that GuardiaN will be joining the team and the players are excited to get back to work after the break,” said FaZe Clan coach RobbaN. GuardiaN spent the last four years with Navi but has been in the pro CS:GO scene since 2012. FaZe will be his seventh team since starting his CS:GO career with eternal Playerz. The Slovak will join Karrigan, rain, NiKo and KioShima, who are all from different countries, amking the US-based FaZe an international organization in spirit. Cloud9 and the Kroenke Sports & Entertainment group each bought franchises in Blizzard’s own Overwatch League. Cloud9, a famous esports organization, will buy the London spot in the OWL, while Kroenke S&E, which owns traditional sports teams, will buy Los Angeles’ second spot in the awaited professional league. C9 follows endemic esports teams like Immortals, Misfits and NRG Esports into the OWL. Kroenke S&E, primarily owned by tycoon Stan Kroenke, runs teams across many traditional sports. The KSE owns the Denver Nuggets of the NBA, the Colorado Avalance of the NHL, the Colorado Rapids of MLS, the Colorado Mammoth of the NLL, the LA Rams of the NFL and Arsenal FC of the English Premier League. The KSE follows two tradition sports owners – Robert Kraft, who owns the New England Patriots of the NFL, bought a Boston spot in the OWL, and Jeff Wilpon, who co-owns the New York Mets of the MLB, bought a New York franchise. C9, which has teams in Dota, LoL and CS:GO, will share Los Angeles with the Immortals, an esports organization owned by Noah Winston. South Korea and Canada sealed spots in the 2017 Overwatch World Cup after beating six other teams in the offline qualifier in Katowice. South Korea dominated the qualifier throughout, winning 12 games in their group and then sweeping Russia 3-0 in the cross-over playoff for the spot. Canada stumbled a little in their group winners match against Russia, but the Canadians swept the Russians 2-0 in the tie breaker to go to the cross-over playoff, where they swept the Netherlands 3-0 to get the berth for the OWWC. 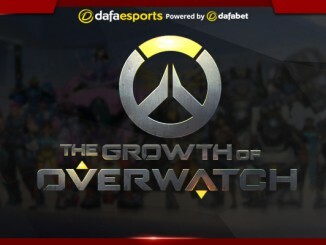 Already in the OWWC are China and France, who won the Shanghai qualifier. Sweden and Australia, who won the Sydney qualifier, are also qualified. The last two spots in the OWWC are up for grabs in the Santa Monica qualifier, where US, UK, Israel, New Zealand, Taiwan, Germany, Brazil and Belgium will collide.